As well as being one of the major literary figures of the twentieth century and the recipient of the 1923 Nobel Prize for Literature, William Butler Yeats (1865-1939) is the greatest lyric poet that Ireland has produced. His early work includes the beguiling ‘When You are Old’, ‘The Cloths of Heaven’ and ‘The Lake Isle of Innisfree’ but, unusually for a poet, Yeats’s later works, including ‘Parnell’s Funeral’, surpass even those of his youth. 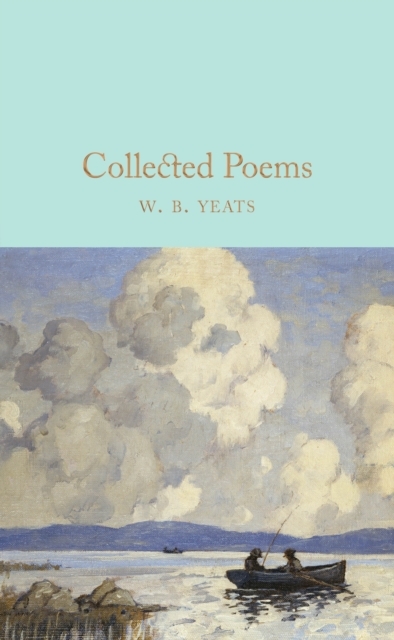 All are present in this volume, which reproduces the 1933 edition of W.
B. Yeats’s Collected Poems and also contains an illuminating introduction by author and academic Dr Robert Mighall. Designed to appeal to the booklover, the Macmillan Collector’s Library is a series of beautiful gift editions of much loved classic titles.